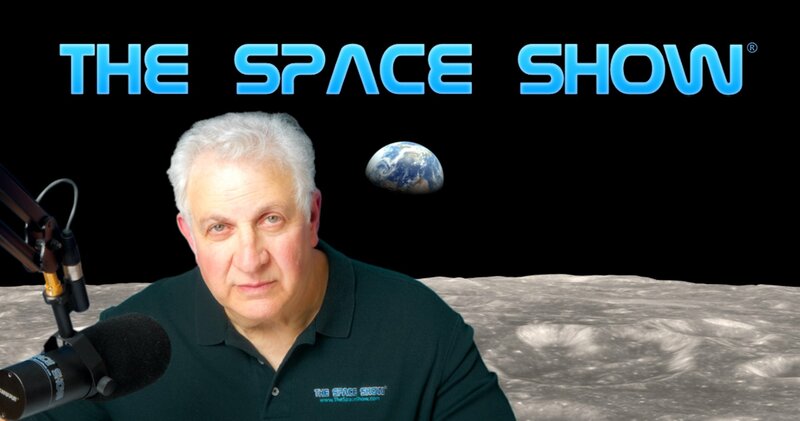 We welcomed Dr. Ken Davidian back to the show to discuss his business school doctoral dissertation as regards to the human suborbital business and markets plus NewSpace and traditional commercial and government space development. Ken pointed us to his Executive Summary which you can read here: http://commercialspace.pbworks.com/w/page/128760876/Davidian's%20Doctorate%20Dissertation%20-%20EXECUTIVE%20SUMMARY. In addition, you can find Ken's academic video discussing his work at https://www.youtube.com/watch?v=Lfo8c9IqKDQ&t=18s. During our one segment 80 minute program, Ken talked about lots of modern, classical and even historical business management modeling, applying such to space business issues, particularly human suborbital spaceflight, small satellites, and entrepreneurial activities. We talked about space in Africa and cultural differences re a business school in Cape Town as compared to one in the U.S. Ken also talked about aspects of his research and modeling which you can find out more about by listening to our discussion plus checking out the data per the two above websites. In his discussion of the human suborbital industry, Dr. Davidian picked five companies but at least two of the companies on his list had failed. I asked about the failed companies and suggested poor management had much to do with it. Ken expanded on that so don't miss what he had to say, especially with regards to what happens to company resources when the company enters a life support state of being. Later in this discussion, I used the current example of Sears going under from not being able to compete in the modern retail world. Ken had an interesting take on that regarding the use of available management tools. Don't miss what he had to say about Sears management and the tools they used to get out of a jam which did not work. Other discussed topics include theoretical approaches to management decision and model making as compared to the practical side of things. He also talked about processes and described the process map approach. Make sure you hear what he said on this topic. Our guest received several listener email questions, many with a focus on private sector business over government business. As a result of this part of the discussion, Ken talked about the role of government, public private partnerships, regulations and such. He then moved to talking about innovation. One thing he said was that usually a smaller company can be more innovative. He explored this with us so don't miss what he said on this topic. One of the key questions he got was to provide us with the takeaways from his dissertation. He listed several such takeaways. Let us know what you think about them by posting your comments on our blog. Before the program ended, we talked about the Office of Commercial Space at the FAA (AST) and the new director starting later this month. The new AST director will be USAF General Wayne Monteith. Ken provided us background information on the general as he was in command of the Eastern launch range which included the Cape. He was responsible and has made it a priority to increase the launch rate at the range, including commercial launches. Near the end, we were talking about institutional technology and the need for the FAA to be cutting edge. I mentioned the company Boom and the coming SST commercial planes and the need for changes in the regulations to allow for SST flight in the US and elsewhere (other than military). Ken had much to say on the institutional technology topic and suggested a book to read, "Stalemate in Technology: Innovations Overcome the Depression" by Gerhard Mensch. Before the program ended, I asked about space in South Africa and if Mr. Musk was widely known in S. Africa. Ken had interesting observations to offer on both, then he concluded with comments you will want to hear. Please post your comments/questions on TSS blog for this program. You can reach Dr. Davidian through me.